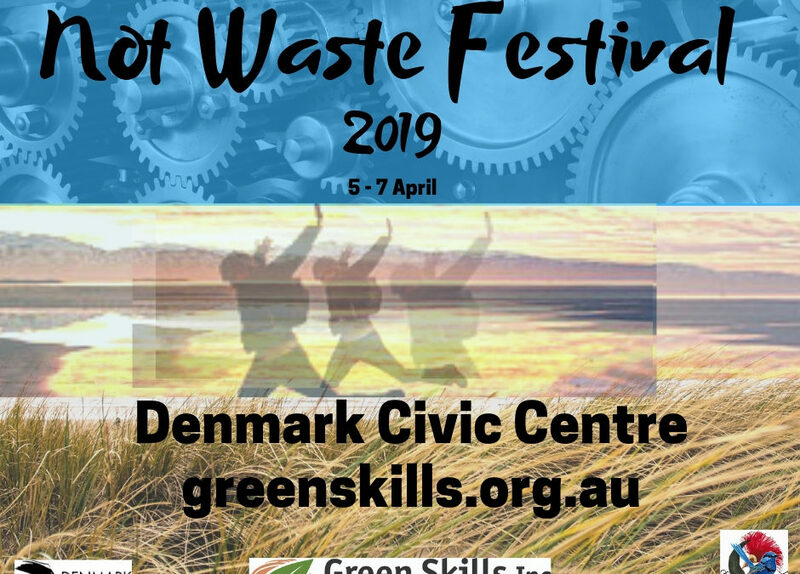 The Friday night of the festival with the Denmark Up-cycle Collectives “Up-cycled Fashion Parade”, “Possible Futures – Waste Reduction in Denmark – public Discussion Panel” Tipmass Carols sing-along with Eclectica and ” The Tip Shop Dj”. What a night! Come Down and be there to discuss the future of waste reduction in the town. I know you all have a lot of questions! Now is is your chance! Gertrude WellEase of the Chamber of Blessings with her amazing eye for fashion detail will lead you through the incredible range of up-cycled fashion being created and worn in this town. The clothing from a diverse range of talented local up-cyclers including Ruth Maddren, Shannon Hawks, Kamali and a selection of work from the up-cycled fashion workshops leading up to this festival and more. Based on last years parade its bound to impress. Some of the clothing will be for sale through the weekend at the Not Waste Bizarre. Last year the models loved the clothes so much many of them bought pieces. To top that off local original vintage 80’s Gamboy music for an all round funky up-cycled fashion parade. Huh what does that mean? ‘One Game Boy’ James Gentle’s electro act with all music written and performed on Gameboy, nothing but dirty old school beats. The Tip Shop DJ has collected an eclectic collection of records to spin to keep you dancing. The Tip Shop DJ a former long term member of the 78’s records team knows what he is looking for as he trawls the second hand shops for those rare gems.